Our 11th Mixed Styles Evaluation! L-R: Jared Bailey, John Gayer, Christian Hampton, Brad Fowler and Owen Ogletree. Oliver is the master bartender at Highwire Lounge in Athens, GA.
Highwire is owned by the guys from Trappeze Pub. Owen Ogletree (director of Brewtopia Events LLC) gathered together fellow beer lovers Jared Bailey, John Gayer, Christian Hampton and Brad Fowler at Highwire Lounge in Athens, GA to sample and comment on several mixed styles of ales and lagers from commercial and craft breweries from around the world. This sampling was done as a "best of show" blind tasting where no one was aware of the brands that were being served. Products were informally commented upon and ranked according to Beer Judge Certification Program (BJCP) style guidelines. First, second, third places, and honorable mentions were awarded to the products we felt represented their individual styles in extraordinary fashion. Drop Owen an email to share your comments and opinions. Aroma: Dark chocolate; cocoa; beautiful dark malt. Appearance: Very dark brown; tan head; red hint when held to light. Flavor: Malt is good; chocolately notes; cocoa tones; hint of caramel in background; dry, nice finish; a wonderful brew. Aroma: Caramel; roasty; mineraly; fruity; dark fruit; cereal notes; granola with coffee; apple crumble cake with coffee. Appearance: Brown head; good head retention; black color - gorgeous. Flavor: Dry, but rich; roasty; slightly fruity; hints of cardboard; medium mouthfeel; dark burnt coffee in finish; very pleasant, flavorful stout. Aroma: Roasted notes; hops in background for balance. Appearance: Black with ruby highlights; sand colored foam. Flavor: Body is a bit thin; mildly roasty; hints of German malts; dry; clean; light roasted grain aftertaste; pleasing, subtle flavors. Aroma: Bread toast; malt; Munich malt notes; German malt complexity; aromas are quite mild. Appearance: Clear; deep orange; light foam that is off-white in color; attractive. Flavor: Complex malt notes; toast; starts a bit sweet but ends with a dryer finish; bready; good for style; clean; could be a bit more rich in malt notes and body. Aroma: Malt / hop aromas; slight cheese notes; aroma is quite subtle - more like an American Pale Ale perhaps. Appearance: Color is in style range - copper; moderate white foam. Flavor: More than an American Pale Ale, but a bit less than a classic, big American IPA; nice malt/hop balance; pleasant bitterness in finish; a lighter example of the style; very tasty; not harsh; smooth hop flavor and bitterness. Aroma: Light aroma; subtle; corn hints. Appearance: Dark gold; clear; light wheat head; low head retention. Flavor: Not very crisp or bitter; very subtle; a bit watery; could use more hop flavor and bitterness. Aroma: Malt; butter hints; floral hop note. Appearance: Clear; white foam; moderate head; nice gold color. Flavor: Hint of diacetyl; great malt notes; mineraly background; hop bitterness is moderate; complex finish; smooth and well balanced. Aroma: Pomegranate hint; cereal/wheat note; acidic aromas. Appearance: Clear; gold; very filtered; moderate white head. Flavor: Hint of wheat; light hops; grainy note; very mild fruit; fruit is not very identifiable; pleasant and drinkable. Aroma: Raspberry fruit and seeds; aroma is dominated by fruit notes. Appearance: Gold with a raspberry hue; very clear; filtered; light, off-white foam. Flavor: Dry; not much sweetness; raspberry notes; nice raspberry finish; hint of wheat in flavor; crisp; pleasant; light bodied; a hint of tannin in the finish. Aroma: Caramel; vegetal hint; fruity; overripe cherries; toffee; hops are in background. Appearance: Clear; deep red; ivory foam. Flavor: Caramel malt; caramel candy; hops are good; very fruity; dark fruit hints; fruity/toffee contrast; malt/hop balance is good; there is a lingering bitterness that is nice. Aroma: Earthy; paper note; tannins; hoppy; fruity. Appearance: Light end of color range for style; gold; slight haze; light carbonation is nice. Flavor: Fruity; hints of oxidation; hop flavor and bitterness are good; cardboard note; hops are prevalent; metallic hint; long, dry finish of hops; malt background is appropriate. 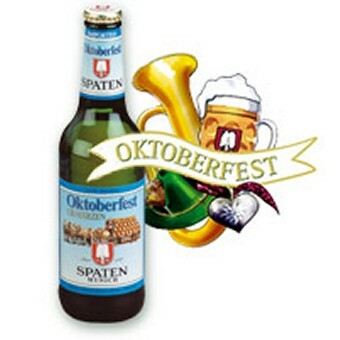 Aroma: Oktoberfest/bock-like; toffee; malt; Munich malt notes. Appearance: Light color for a Schwarzbier; medium brown with tan foam. Flavor: Light German malts; light noble hops; not roasty; light toffee/toasty malt character; slight acidity; very mild flavors; light/medium body with subtle complexity. Aroma: Subtle dark malt notes; very mild hops. 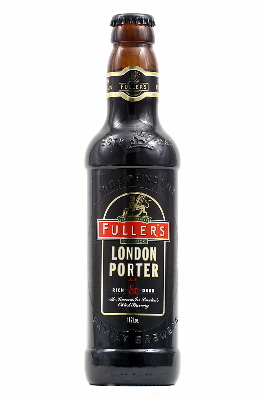 Appearance: Light brown head; good carbonation; almost black; opaque. Flavor: Subdued flavors; dark malts are mild in flavor; could use more chocolate malt; lots of hop flavor (floral/herbal); a bit watery for style; impressive hops; mild dark malt character; very drinkable.